Eat Smart Diet & Nutrition blog » General Nutrition » Feb Fast – Our review on reusable coffee cups! Powered by Youth Support + Advocacy Service (YSAS), febfast is the great Australian pause from alcohol, sugar or something of your choice for the month of February in support of disadvantaged young people aged 12-25 across the country. At Eat Smart, we turned out minds to how we can help the environment throughout febfast, by going without take away coffee cups! Here is our review on 3 of the different types of reusable coffee mugs we use in our office! Now this is the basics of all basics when it comes to reusable coffee mugs. 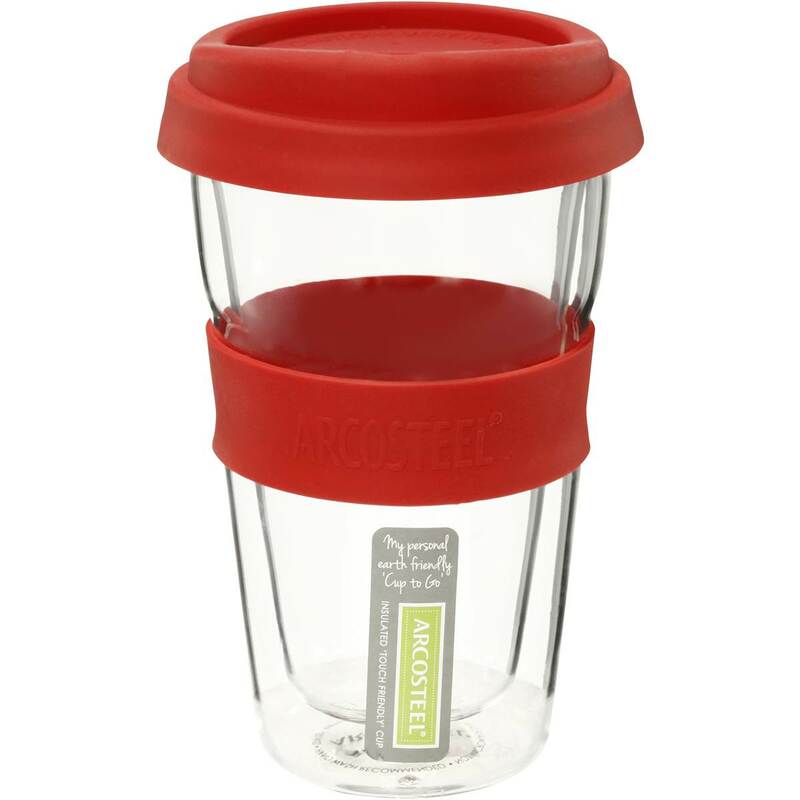 The Acrosteel coffee mug is made of double wall glass, and a silicone lid and band. These mugs can be found on your daily grocery shop at Woolworths, and are sticking to a budget whilst saving the environment. This mug definitely serves it’s purpose, though we do have reports that the silicone lid does get loose after a few months, so if you plan on sipping your cappuccino in the car on the way to work… don’t wear white! (We know from experience). If you have a keep cup, you know you are a little bit hip, and a little bit trendy. 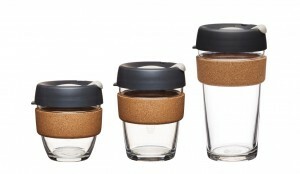 Keepcups come in small, medium and large and fit under most coffee machines. The original keep cup was made of plastic, though this got some bad reviews saying the plastic isn’t giving the coffee connoisseur the flavour they were after. 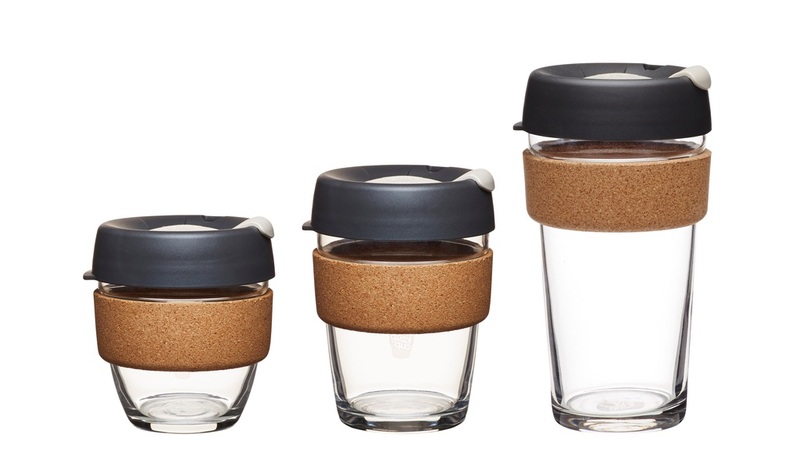 In 2014 Keepcup bought out a a glass model. KeepCup’s Brewcup is made with tempered soda lime glass, a silicone lid and a plastic or cork band. Eat Smart dietitians who use the Keepcup say it is the perfect size, doesn’t drip and fits perfectly in their car coffee holders when on the go! 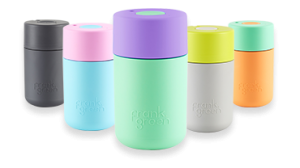 Now there is no argument that the Frank Green coffee cup is aesthetically pleasing, the sleek rounded edges of the cup give the cup a modern and clean look. 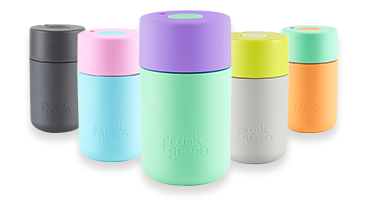 The Frank Green ‘smart cup’ reusable coffee cup is made from a BPA free and non-toxic plastic that claims to be stain and odour resistant. There is also a thermo plastic outer layer which keeps your coffee hotter for longer and has a nice grip feel to it. But lets talk about the really impressive thing here, the smart cup is also installed with a cafépaychip so you can literally swipe your cup to pay for your drink. Faaaaaancy. Though be warned, one Eat Smart team member has mention that the cup is not the easiest to drink out of! Previous post: Australia Day Recipes! Next post: Fireside Fajitas – Campfire cooking!